Last time, I shared with you about our visit to the Boat and Heritage Centre in Muskoka here. 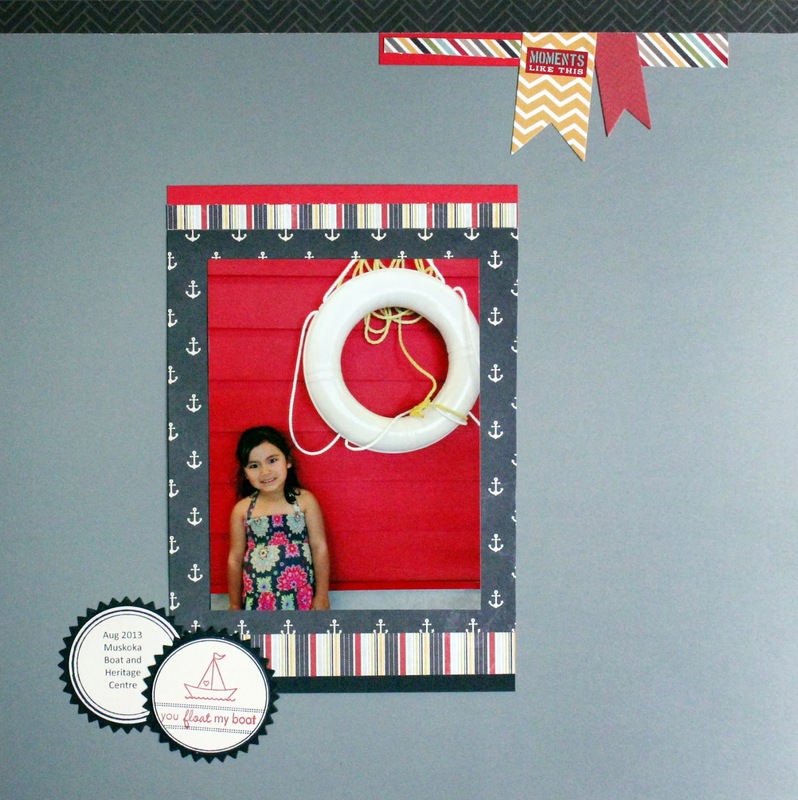 I have a favourite photo there of my DD standing by a red-panelled wall with a lifebuoy hanging by the background. I thought it was very nautical. 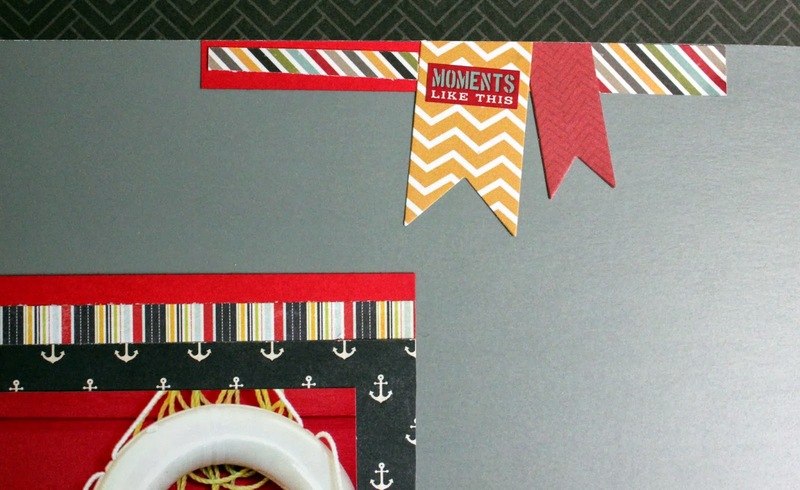 Nautical is a trend which I am loving right now so I thought I’d make a special layout just for that. Pardon the slanted "you float my boat" sentiment :) I corrected that after taking the photo. ﻿﻿ I used Papertrey’s Limitless Layers: Circle die, Borders and Corners: Circle and Tiny Treats: Valentine stamp sets. I also used bits and pieces of Simple Stories and Fancy Pants patterned papers. I am also linking this to Leigh Penner’s Pages with Papertrey Challenge #7 here which is to use a PTI sentiment stamp on your layout. Oh, this is gorgeous, Irma-- both the photo and the layout!